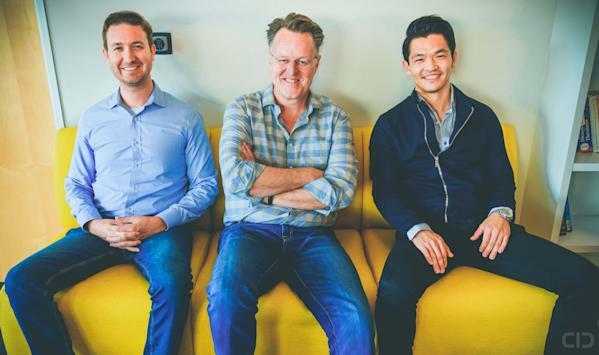 SANTA CLARA, CA / ACCESSWIRE / January 29, 2019 / Lucid, the AI vision startup, announces the addition of serial entrepreneur and founder/CTO of Jaunt XR, Arthur van Hoff, to the company's Board of Advisors. Van Hoff brings decades of experience in stereoscopic vision as the inventor of the famous Jaunt One, a professional-grade 360° multi-camera system for capturing high-end cinematic 3D VR movies for Hollywood. In his adviser role, Van Hoff will help direct Lucid's growth and technology to scale and mass deployment as it continues to focus on delivering its AI-enhanced 3D/depth solution known as 3D Fusion Technology. Van Hoff worked on depth map generation, photogrammetry and 3D in the 80s with dual and multi cameras. Since then he has gone through the advancements of the computer vision industry giving him the background to direct Lucid's 3D Fusion Technology to the next level of applications in mobile devices and content creation. With deep expertise in machine learning, mobile applications, 3D imaging and computational photography, Van Hoff is renowned for his significant technological breakthroughs. Over the course of his career he has lead startups to multi-million-dollar acquisitions by TiVo and BMC and served as Chief Technology Officer (CTO) at several companies, most notably at Flipboard which became one of the most successful startup IPOs. Last year Lucid quickly scaled its technology into millions of devices from mobile phones to cameras to robots and even chips, including the RED Hydrogen One, RED Lithium Camera, VIA and Qualcomm's chip system, as well as Etron's depth module. For more information, please visit: lucidinside.com. Lucid is a leading AI vision startup developing software solutions for 3D capture and depth sensing based on machine learning. Leveraging only dual/multi-camera setups, 3D Fusion Technology has been deployed in millions of devices in mass production from mobile phones to 3D cameras to robots, drones, security and other smart camera systems. Lucid's easily-integrated SDK allows standard cameras to outperform emission-based hardware depth systems in cost, space and development by training in the cloud and inferring depth on the edge. For more information, visit lucidinside.com.